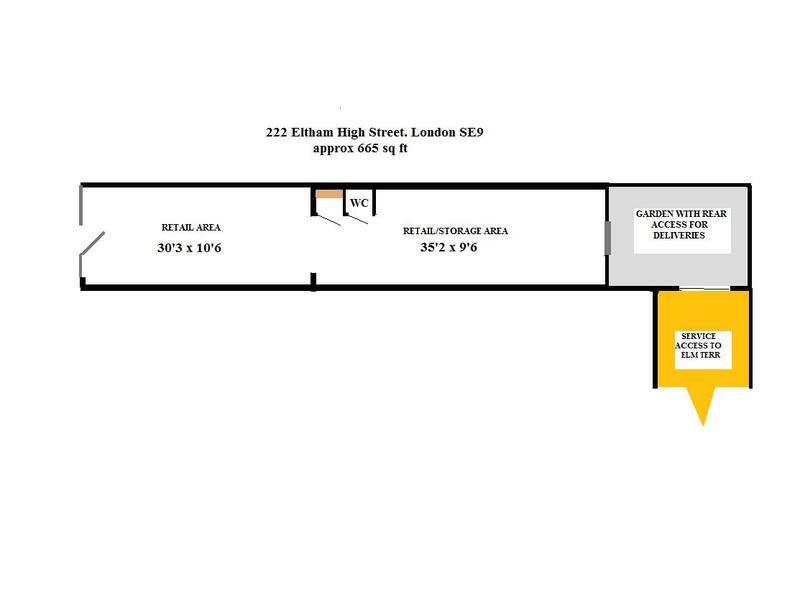 TO LET A1 retail shop approx 605 sqft. fronting busy Eltham High St opposite Blunts road. The area is well served by public transport with bus services to all surrounding areas and the city. The high street has a selection of major retailers inc M &S, Sainsbury , Smiths and Primark and has a very high footfall. The shop has recently been extended giving an overall depth of some 65ft , benefits from security shutters to front, staff WC. and rear garden area leading to service/delivery entrance from Elm Terrace. Being offered on a new initial 5 year lease with the option of renewal. The tenancy will be subject to satisfactory references and a UK guarantor for the lease term.